Many people think about them, but very few actually have them. Personal Visions and Goals. Personal Visions are important to have. If you have one and focus on it often, you will ultimately steer your life toward obtaining it. Think of your vision as your compass, your GPS, or — my personal favorite — a lighthouse at the beach, to lead you through the storms and past the rocky ocean waves you’ll encounter as you make your way toward your final destination. It may sound like a simple enough question, but it’s one of the toughest to answer. What do I really, really, truly want for myself? If I could have the kind of life that would make my heart sing, what would it look like? At this point, your heart may be beating a bit faster. Can you really have that kind of life? Yes, I believe you can. I’ve done it and I’ve helped a lot of clients lead passionate and fulfilling lives. It starts by defining what that life could look like. What really is my relationship with God? Have I put my full trust in Him? If I could have more of something in my life, what would it be? What should I eliminate from my life for good? Which relationships do I need to nurture, or which ones should I release? What habits should I quit? What can I do to bring more joy into my daily life? These questions are just a starting point, so take into account all major aspects of your life – friends and family (immediate and extended), church friends, charity work and, of course, fun and recreation. Also, examine thoughts centering on your daily career, activities, spending habits, your personal wellness and fitness, spirituality, and, of course, your spouse. 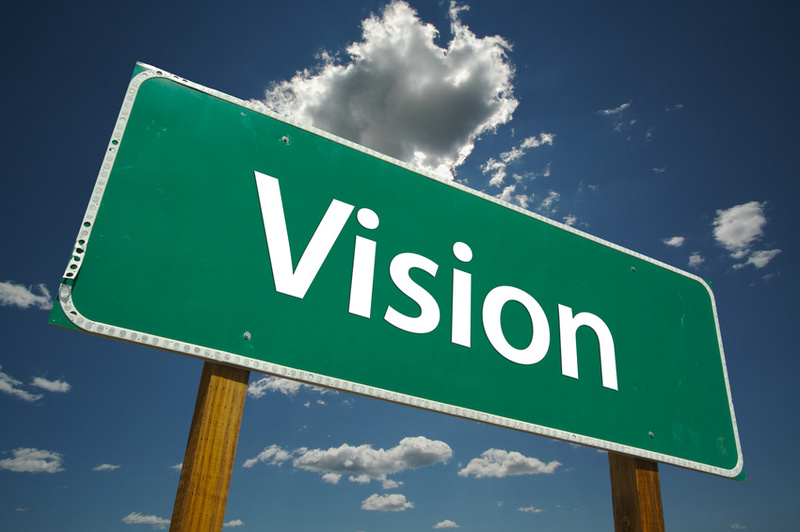 Got Vision? We would love to know if you have walked through this process before. What was the outcome? Be a difference maker today and inspire a reader by leaving us comments. Have a great week.